In the age of smartphones, smart devices, and the Internet of Things (IoT), it should be obvious for most users that protecting all of your devices with a VPN, as well as other security measures, should be a must. The main reason why we use a Virtual Private Network is to protect and conceal our private data, and now when our private data is everywhere, all of our devices must be protected. Both people familiar with internet security and those who are sensible about their data protection understand that we keep duplicates of our private data on our mobile devices and that all of our devices usually share same saved passwords and are used to access the same websites. While this interconnectivity is a good thing from the end-user perspective and allows us to use whichever device is the easiest for us at the moment, this also means that if one of your devices is compromised by a malicious piece of software or a hacker, all of your devices will be compromised. Even if you use your mobile phone just to send and receive emails, if the phone is compromised, so will be the email, and with that hackers could gain access to all of your information and could even infect your other devices that are maybe not even connected with the phone, but use the same network and the same email. One of the most severe problems, when you are not mindful about your internet security, is that your Wi-Fi connection can easily infect your friends who come to visit and use your home’s wireless connection, forcing you to apologize and explain why you haven’t dealt with this issue sooner. Finally, it is essential to use a reputable VPN provider which will offer a premium service and guarantee that all of your devices will not only be safe but will also have an excellent connection to the internet and wouldn’t hinder your browsing experience. Using a premium service such as Le VPN will make sure that you can both access your desired media and information online and that you will be safe and secure while doing it. Why should you access the internet over a VPN on multiple devices? While there are several general reasons why you should connect to the internet using a VPN irrelevant of the device, each device usually has a few extra benefits that will show themselves when you are using a VPN, and especially when you are using a good VPN. Especially when you are using a VPN for multiple devices it is important for the VPN provider to be experienced with servicing multiple different platforms. As mentioned before, the main reason why everyone should be using a VPN is internet security and anonymity, one being very connected to the other. If no one can see you online and track your IP address, they will not be able to steal your data and would only hit their heads on your secure connection. A good VPN will make you both anonymous and secure, as well as provide multiple other benefits on all of your devices. Some of the other benefits are access to media from all over the world, including that which may be either banned or unavailable in your country. Accessing the US Netflix database using your console as to watch your favorite shows from the comfort of your living room is indeed something you should experience, especially when you know that you are safe from hackers and identity thieves. What devices should be protected? The easy answer to this question is that every device you own that has an internal operating system should be connected to the internet using a VPN. This is not an easy answer for everyone as you could have devices in your home that can be hacked even when you are not aware that they are connected. The most obvious candidates for a VPN connection are your personal computer, be that your laptop, desktop, or any of the Apple computers, as well as your phone, tablet, gaming console, and Wi-Fi router. Apart from these devices that are regular in most homes, you might also have smart devices, like a television set or even a refrigerator, which does have a basic operating system and should be protected. This is why it is important never to forget to connect your router through a VPN connection, as most of your devices will connect there, and it will provide you with the first line of defense from any malicious software and individuals that might be out to get your private information. When connecting your devices, it is crucial that you can connect all of your primary devices at once and ensure that you will have a stable and speedy connection on all of them. 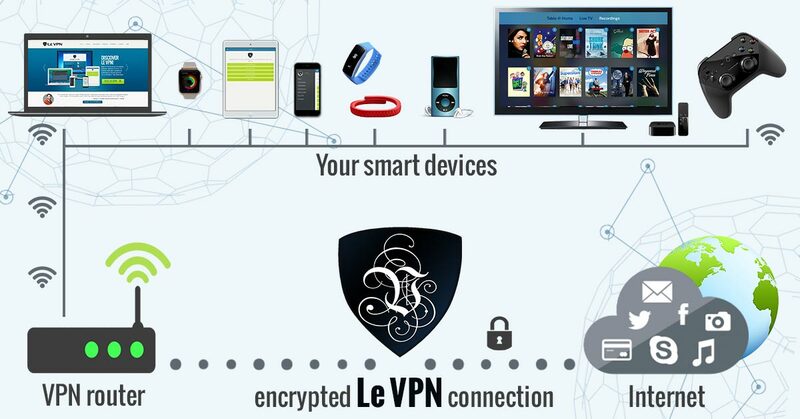 It is best to have multiple VPN connections from the same VPN provider, and with the high-end premium providers such as Le VPN, you can have five simultaneous VPN connections within the same subscription plan, which can protect all of your devices at the same time, with no impact on connection speed or quality. Why connect over a VPN for a PC or Laptop? Even if a home computer is not your primary daily device, it should be the first device to be protected with a VPN, as most of your data will be inside. It is also very common that aside from your financial and personal information stored on your PC or Mac, you will also have personal files, like pictures and videos, which you would want to protect from prying eyes and possibly becoming ransomware. Secondly, as platforms such as Windows and AppleOS are on the market for the longest, they also have the most people trying to hack them, and who have already created malware that can affect your devices. This is why you should always have your operating systems updated, your anti-virus software active, and your VPN online on your primary home device. If you are using your laptop for work, the importance of defensive measures only multiplies. If you need to protect the data of your clients, employees and other contacts as well as your own, using a VPN to access the internet is paramount. While some of your business connections might understand the reasons why you have led to their information being leaked, you might never be seen as a reliable partner again. Why connect over a VPN for a Gaming Console? A gaming console was not an obvious choice for a VPN connection, and for a long time that was with good reason, as they didn’t have any serious networking capabilities and no information was being stored for anyone to hack and misuse. Today, gaming consoles are entertainment systems in their own right with quite powerful hardware and very sophisticated software. Also, now the consoles also store your personal information, as you use the internet over your PlayStation or Xbox to pay for games and in-game content, leaving your credit card information behind. This becomes quite a problem when you are not using a VPN, as most gaming console records are public, showing the top players and those who have bought the most games, implying that you are a good target for identity theft. Tracking your IP by using your gaming username could lead them to figure out how to hack your console, effectively stealing all of your data. While gaming online might leave you anonymous in regards to your real name, it also makes you well known, as there are dozens of players you communicate with on a daily basis, which does make a target on your back, implying that your back should be protected. And if you are using a good VPN, you will see no difference in ping or any latency issues, as the connection provided by companies like Le VPN provide you with more band weight that any game demands, and is quite probably the best VPN for home use. For people in countries like Australia, where there are many great game titles banned, connecting through a VPN will give you the ability to play those games as if you were living in the US or UK. Why connect over a VPN for your mobile device? This is the second most important device that you should protect, as it is possibly the device that has the most sensitive data in your home, and when you go out. This mobility is also the reason why you should be extra careful, as you may connect to Wi-Fi routers that are infected with malware and even some that are made specifically to collect browsing data. You should never connect to a Wi-Fi that you don’t trust, and even if you do trust it, you should be using a VPN. It doesn’t matter if you are using an iPhone, and Android device, or even a Windows phone, the long list of credit card information, banking information, home addressed, search histories, messaging histories, as well as pictures and videos, must be protected. You will want to keep your VPN activated on your phone at all times, as phones change internet connections automatically and you might not realize that you have switched from a secure connection to one that is most definitely not. And if a VPN is activated, it will always route all of your browsing and information through very secure servers of a VPN provider, giving you full anonymity and therefore security. Be advised that using a VPN would scramble some of the services available on your phone, usually those who are meant to find you and track your movements and behavior. As the primary role of a VPN is to protect from others tracking you and your data, in this case, you will also be excluded from ‘’finding yourself”, which is your smartphone in this case. Should your smart devices also be connected? This is a very firm ‘’yes’’, as your smart TV and Apple TV can have more private information stored in them than you might realize, as well as probably having the same password as some of your other devices, making your smart device often a staging ground for a hacker who plans on stealing your information. While these devices might not always have an operating system in the traditional sense of the way, where you have a desktop with all the icons, they are computers in their own right and have multiple features that can be used by you, the user, or someone with much worse intentions. It is not very hard to install a smart DNS connection for a VPN on your Apple TV, but if you are having any troubles, you should always keep the Wi-Fi router that the smart device is connecting to connected via a VPN, as to be sure that you have done everything in your power to protect all of your smart devices. Why connect your home router to a VPN? Last but not least, connecting your internet router through a VPN would protect even those devices you haven’t predicted, which are becoming numerous in the world of IoT. It will provide a VPN for connected devices, which will all be protected. Obviously, this sort of connection has fewer options than the one you are using directly on your PC or mobile device, as you will not be able to change the location to which your router connects as easily, but this is a small price to pay, and you can always go into settings to change the desired VPN server, if you are so inclined. When you are providing VPN for multiple devices, this means that even your friends who come to visit and connect to your Wi-Fi will have secure internet where they will be anonymous, not to mention all the smart devices that we will most probably have in the near future. Should all my devices be protected at the same time? 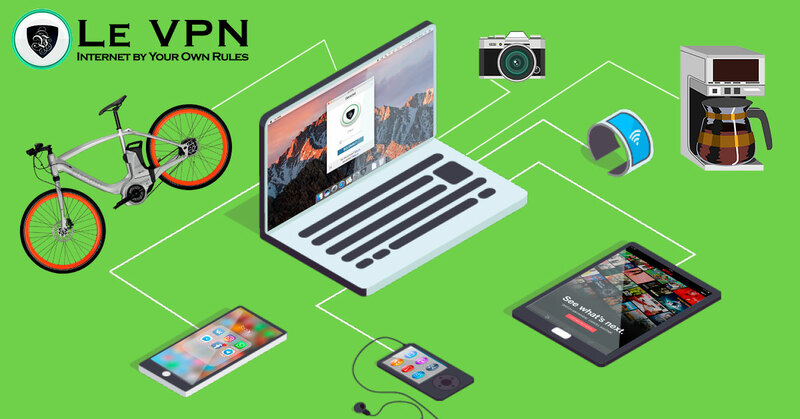 All devices that have an operating system should be connected to the internet using a VPN, at all times. And if this sounds like a public service announcement, it is because it is. Many people fall prey to identity theft, and many more are victims of data collection and ransomware. It is not hard to connect all of your devices at the same time when you have a good VPN provider, which will give you the option to have multiple VPN connections, all having good speeds and stability. You can have your router using the closest server, as to give you the lowest latency numbers, and then you would have your PC connect to whichever server has the best access to media, or probably somewhere where your business partners are situated, and finally your gaming console where there are the most games in the market. Can a single VPN subscription cover all of my devices? Inferior VPN providers, and especially free VPN providers, will barely offer protection on more than one of your devices, and more often than not have problems with multiple platforms, even when you are connecting only one device at a time. With premium VPN providers, as is Le VPN, you will be able to cover up to 5 devices, regardless of the platform they are using, under a single subscription. This way you will not need to remember which devices are suitable for internet access and which are unsecured, as you will be able to connect all of the devices you use at the same time and keep them connected. Using a VPN doesn’t have an impact on your mobile data plan, or any other charges, meaning that it would be best just to keep them on all the time. In which other ways can I protect myself? There is no such thing as ‘’too much cybersecurity”. Aside from a premium VPN connection, you should always have a good anti-virus and an updated operating system. On top of this, it would be prudent always to be aware of what are you doing online if you are sending any passwords or giving your information to someone. You should never stress over your personal information, and that is the exact reason why you are using cybersecurity measures, as you wouldn’t think about them later. It is much easier to install a VPN and an anti-virus once and be secure than to have problems with your information and data being leaked. Using a VPN connection on multiple devices is relatively easy, especially when you are subscribed to a premium VPN service such as Le VPN. Installing a VPN on each device is easy, and you will be able to use the same username and password on all devices and to pay the same as you were using only a single connection. The role of a premium VPN provider is to make you safe, and the best companies realize that you can’t be safe on your phone, if your laptop is compromised, and vice-versa. Now, you can connect everything in your house to the same VPN subscription and browse game, and communicate without any stress or obstacles.